I may be biased in putting this on top of the list, but the owner, Charvi, is one of my favourite persons on this planet, so I couldn’t resist. She is a wonderful and talented teen who juggles being a full-time student, book blogging, Bookstagram and this artsy shop she owns. She puts a lot of effort into giving her customers exactly what they want and is a joy to work with. 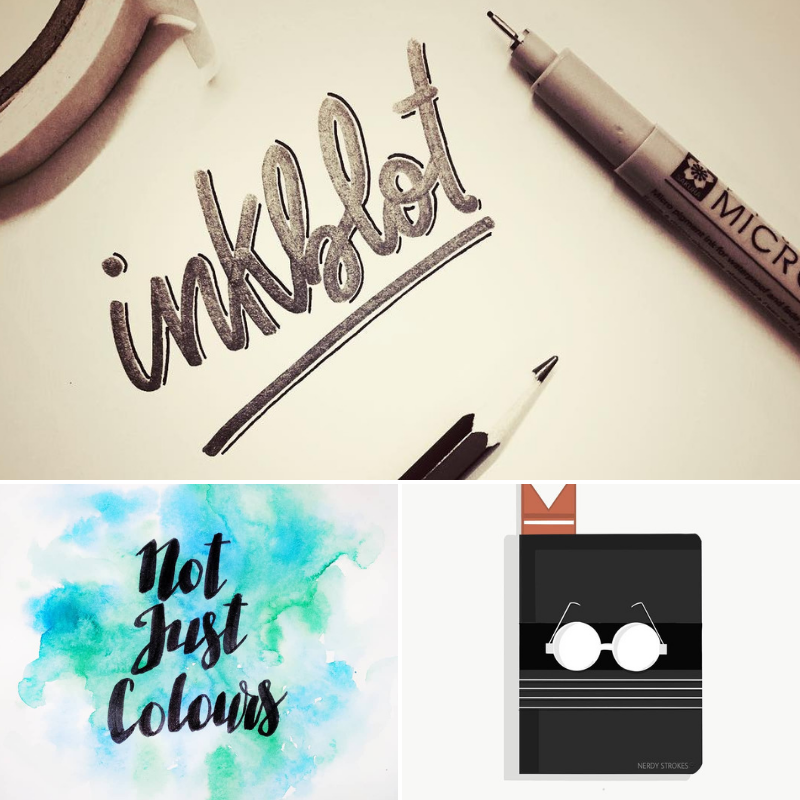 Run by three bookish and artsy friends, they got back into business just recently and are currently holding a giveaway to celebrate! They make some very pretty art and they also play with shapes to add a new dimension to the humble bookmark. If you’re a fan of Harry Potter, their shop has some really unique designs that will be noteworthy additons to your merch collection. I discovered the shop through its most vocal supporter, Maressa, a Bookstagrammer I adore. Run by Diwita, the shop sells handmade bookmarks and custom art prints along with printed digitally designed products. She also has cool items like calendar notecards and designer notebooks. Afia is another school-going badass whose two biggest loves are candle-making and bullet-journaling. She effortlessly manages a candle business and a stationery business along with academic coursework. Nearly all my Bookstagram pictures have a candle made by her because I admore her work so much! This lovely shop was brought to my attention by Charvi, who was mentioned earlier, because of her absolute devotion to the Simon-inspired candlle she got from here. Vasudha, the shop owner, is another student plus enterpreneur, because of which the shop will be on break until April this year due to exams. However, her quality is A+ and I’m honestly saving up to buy her products, especially her Percy Jackson-inspired candle. There are quite a few bookish subscription services in India now but I’ve been a returning customer only for this business. They are not only unapologetically bookish, always happy to help and make you feel like a part of their community, but their book choices each time are top notch. They reveal the books in advance and offer a wide selection to satisfy readers of pretty much every genre. They also acquire particular editions of books that are not so easily available in India and they are the sole reasons my physical TBR is threatening to topple over any second. This book box is also one of my favourites mainly because they cater to bookworms wth any kind of budget. Their book choices don’t always align with what I like to read, but nonetheless I have bought a box for myself and another as a gift for my friend, as their quality is excellent. They also organize readalongs and in general do their bets to promote reading in India, which is a mission I’m 100% behind. 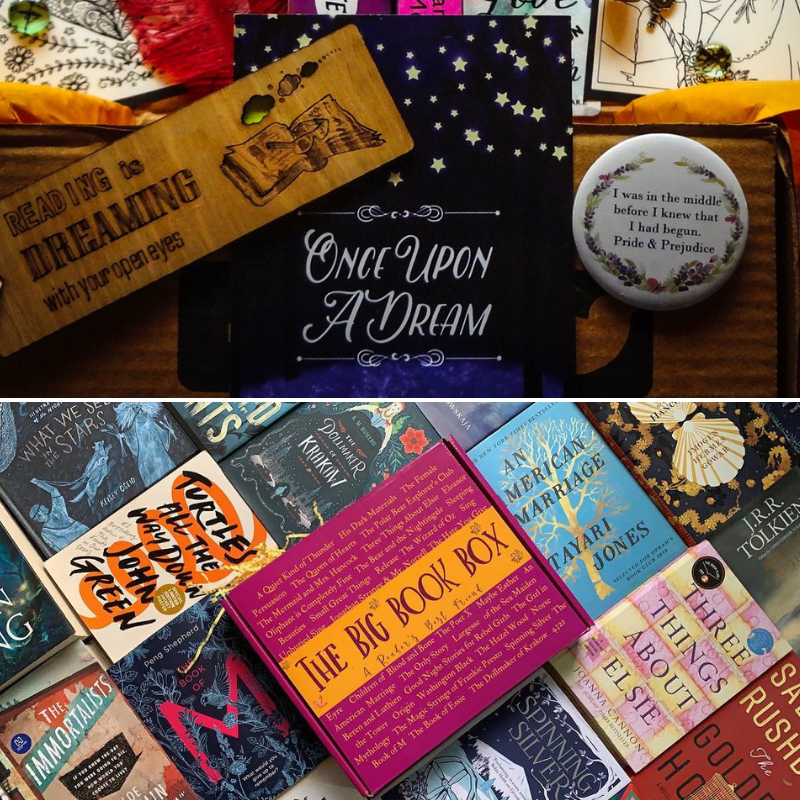 Do you collect bookish merch? 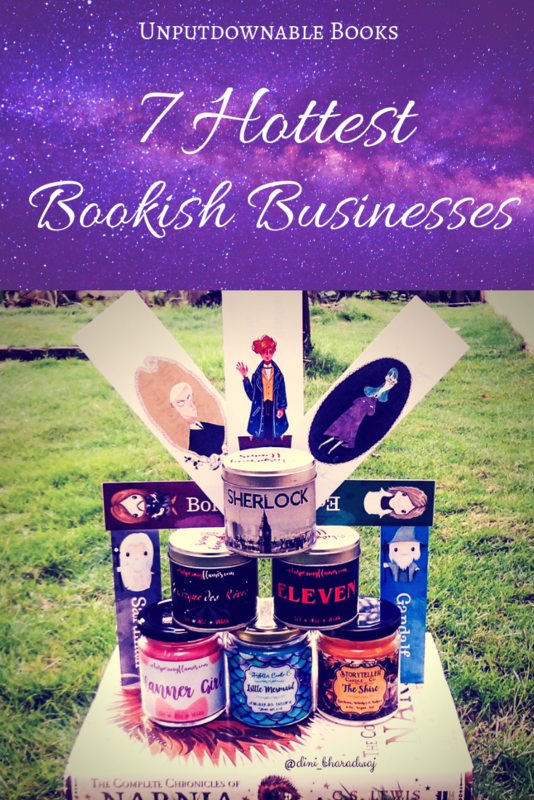 Which bookish shops are your favourites? Let’s discuss in the comments section below! This is a great idea for a post! 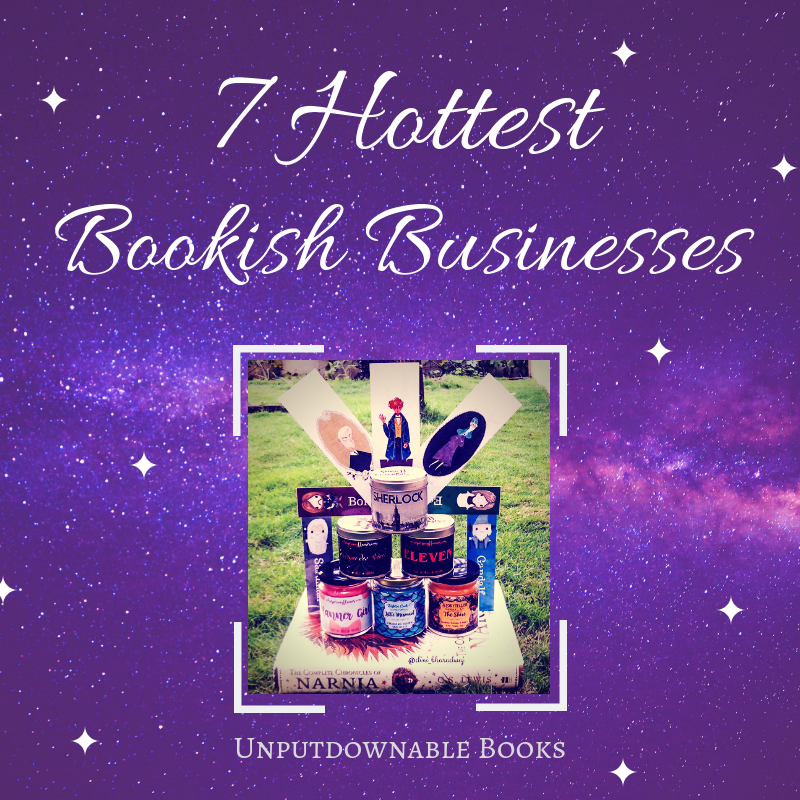 Support small businesses and find awesome bookish stuff! This is a great idea for a post! I never buy book merch because of the cost of shipping and the exchange rate, with most companies in the US and me in Canada (and I don’t really neeeeed any of it ^^;). I should find out if someone has written a post like this for Canadian businesses, lol.